William and Emma Cook’s two children who were born in Canada were Mary Eliza Cook and Alfred Godfrey Cook. They are my great grand aunt and uncle. I remember hearing about “Uncle Godfrey” from my grandmother, but never anything about Mary Eliza, who had lived in Vancouver for at least the last twelve years of her life. Mary Eliza Cook was born on August 25, 1891 in Caledon, Ontario, Canada. The family was living in Inglewood, a village in Caledon, at the time. She moved to Moosamin, Saskatchewan with the rest of the family between 1892 and 1895, where she grew up. 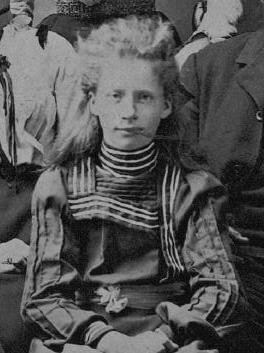 By 1910, at the age of eighteen, she was living with her family in Winnipeg, Manitoba, and was a witness at the wedding of her sister Faith Cook to Herbert Charles Saunders. In 1911, she is living in Vancouver on Venables Street with several of her siblings in her mother’s boarding house. She has no occupation at the time. In 1913, she is still living in Vancouver with her mother and her brother Edward in her mother’s boarding house on West Broadway, and she is working as a waitress. By June 21st of that same year, she has already met her future husband, William Foster, as they are both witnesses at the wedding of her brother Edward to Mabel Winnifred Mills. She is still living with her mother, but on Hornby Street in Vancouver in 1914, but by 1916, she is living with her mother and new husband William in Winnipeg. (I cannot find a record of their marriage in British Columbia or Manitoba, so I suspect they may have got married in Saskatchewan. The marriage database for Saskatchewan is not yet available on line, so I will try later). William states that he immigrated to Canada from Ireland in 1907, and is working for the city as a fireman, as he had done in 1911 in the same city. (It is possible that William and Mary Eliza had originally met in Winnipeg as they both had been living there around the same time before she moved to Vancouver). Mary Eliza has no occupation listed. They as yet have no children, and seem to have been childless thereafter. They are still living in Winnipeg in 1926, as the R.C.M.P. in their search for Herbert Charles Saunders find William Foster living at Herbert’s last known address. By 1928, they are back in Vancouver, where they live for the rest of Mary Eliza’s life. They mainly live in South Vancouver, where William works as a warehouseman. Mary died on August 6, 1944 in St. Paul’s Hospital at the age of fifty-two of cancer of the cervix. She is buried in Ocean View Burial Park in Burnaby, British Columbia, where her mother Emma and sister Faith are also buried. I have as yet been unable to settle on William’s date of death due to the common nature of his name. Mary Eliza’s younger brother, Alfred Godfrey Cook, was born on March 3, 1895 in Moosamin, Saskatchewan, where the family was homesteading. 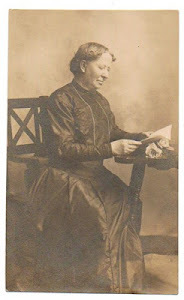 He, like his sister Mary Eliza, was also living in his mother’s boarding house on Venables Street in Vancouver in 1911. He was sixteen years old, and working as a salesman in what appears to be “furnishings”. He was making more money than his brother-in-law Herbert, who was eleven years older than him. In the next record I have of him, he is marrying Jennie Dorothy Margaret Olsen on May 30, 1917 In Winnipeg, Manitoba. It is the first marriage for both. In the next two documents of have of them, she is referred to as “Jean”. According to the 1930 U.S. Census, she was born about 1896 in Norway. In 1930, they are living in Burbank, California in rented accommodation. 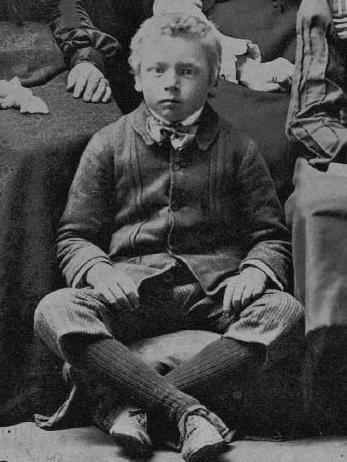 They have a twelve-year-old son, Stanley Edward Alfred Cook, born January 23, 1918 in Canada. (Stanley was to die on April 25, 1979 in Los Angeles at the age of sixty-one). Godfrey is working as a “mechanic”, as is his brother, Samuel, who is living in Long Beach, California at the time. Godfrey is not a veteran. Godfrey died on August 1, 1940 in Ogden, Weber, Utah, at the age of forty-five. The family story told to me by my grandmother, his niece, is that he “died in a parking lot”, and that he had a drinking problem. His death certificate states that his immediate cause of death is “unknown”, but “apparently of natural causes”. The doctor signing is not the attending physician. His marital status is “divorced”. He is a “transient” in the area, and his usual occupation is “automobile salesman”. The informant for the death registration is his twenty-two-year-old son, Stanley, who lives in Maywood, California. Alfred Godfrey Cook was buried in the Ogden City Cemetery in Ogden, Utah.